In an ideal world, university estates managers could monitor and control access throughout their premises. They would know who came and went from computer rooms and classrooms. Conference rooms, teaching rooms and staff areas would be open to only the right, authorised site users: lecturers during the day, cleaning and other contractors after hours. The main entrance and even server racks would all be connected to one system, and controllable from a single point. Everyone knows mechanical security can’t do all this — at least, not without placing a huge admin burden on facility and security managers. Electronic access control can, but wired locks are prohibitively expensive to distribute so widely through a site. New wireless access control technologies are the answer. They make it all possible, as universities across Europe have discovered by choosing Aperio®. 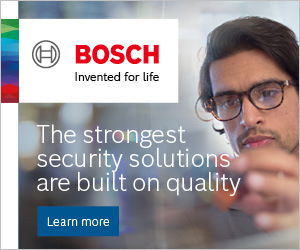 Replacing mechanical locks with Aperio® battery-powered devices ensures all your locks integrate seamlessly with access control and security systems from over 100 different manufacturers. Aperio® locks are wireless, easy to install and manage, and cost-effective to run. They are scalable and easily upgradable. Crucially, they add all the functionality university facilities managers need to stop unauthorised access — cost-efficiently and without an exponential increase in key management hassle. The ROI is easy to see. Magnus Svensson, Infrastructure Manager at Lund University in Sweden. The security upgrade for Lund staff and students was practically invisible. Aperio® locks work with the university’s existing MIFARE® smart cards, so there was no need for 42,000 students and around 7,500 staff to return their smart-cards for reprogramming, or even to visit update readers to reactivate their permissions. Every door or card is still managed centrally from a single administration interface. “Aperio® has proven to be very cost effective and is really appreciated by staff and students,” adds Magnus Svensson. At Hamburg’s HafenCity University (HCU) a landmark new building accommodates around 2,400 students and 460 staff. It incorporates flexible-use spaces such as a media centre and library, seminar rooms, laboratories, and offices for research groups. Its SIEMENS access control system has been extended seamlessly with Aperio® wireless locks. The flexibility of Aperio® means HCU’s facility managers now have greater control. They can respond to organizational changes in real time, only needing to monitor one unified security system. 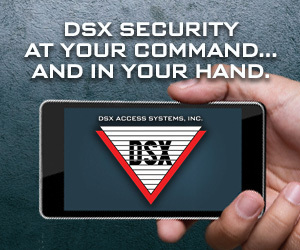 And they no longer deal with the daily hassle of physical key management. Key management weighs facilities staff down with a huge, unnecessary burden. Plus physical keys are easily lost. Among a student body, lost keys plus the time and expense of replacing them are an everyday hazard. Aperio® wireless access control eliminates the security risk posed by a lost key. Rather than the expensive and laborious task of replacing a lock, administrators simply de-authorise a lost credential to reinstate the campus’ secure status. It takes a few seconds of system admin to issue or revoke any smart-card’s access rights. Reprogram an RFID card and you have a new key — instantly. Cut the number of physical keys and you save time and money on key management. “We have been able to reduce the time we spend on user management and system administration radically,” confirms Lund’s Magnus Svensson. Aperio® wireless locks work as a new installation, or they can extend existing access control capability without the need for a total system overhaul. At an existing installation, site users will open both wired doors and new Aperio® wireless doors with the same smart-card, employing standard high- and low-frequency RFID technologies like iCLASS®, MIFARE® DESFire and LEGIC. Laundry rooms, photocopy services, library loans... all can be incorporated on the same smart-card that opens an Aperio®-secured door. Installing wireless locks to prevent unauthorised access is much cheaper than adding more hard-wired doors, because there’s no cabling or invasive building work needed. There is no need to change door hardware: visit YouTube (www.youtube.com/watch?v=Ta8J6vW9Zy4) and you can watch a technician complete one installation, from start to finish, in under 2 minutes. Maintenance is simple, too. An Aperio® device’s standard battery needs replacing every 2 years. That’s it. There are Aperio® devices for almost any opening or security level in a university, and integration can be Online or Offline. Because Aperio® is built using open architecture, seamless online integration enables a single admin interface to control both hard-wired doors and all additional Aperio® battery-powered devices. Facility managers can survey the whole campus at a glance. AperioÒ escutcheons and cylinders enable robust, keyless, trackable access to classrooms and conference rooms. The new Aperio® handle (H100) packs the flexibility and affordability of Aperio® into a slim, cleverly designed, battery-powered door handle — perfect for meeting rooms, staff rooms and offices. For sensitive doors — management offices, IT, science labs, or the main entrance — the Aperio® security lock (L100) transmits door status and meets fire regulations (EN1125 / EN179). At a building entrance, it’s easy to combine the security lock with a panic bar. An Aperio® server lock (KS100) secures server racks and cabinets, either onsite or in a co-located data centre, and brings physical server security into the same system as site doors. Aperio® saves university money without compromising the security of staff or assets. With Aperio®, managers can prevent unauthorised access and bring detailed audit trails to far more doors. If needs change — say, a new building comes onstream — Aperio® is scalable. It’s quick to install as many Aperio® devices as needed to keep the campus secure. 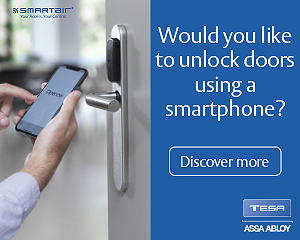 “Providing integrated solutions at complex university sites, working closely with integrators... this is something we understand better than anyone,” says Mathias Weiß, Product Manager, Aperio® at ASSA ABLOY EMEA. Why choose Aperio® for your university? To discover why universities Europe-wide choose Aperio®, visit www.assaabloy.co.uk/aperioforuniversities.